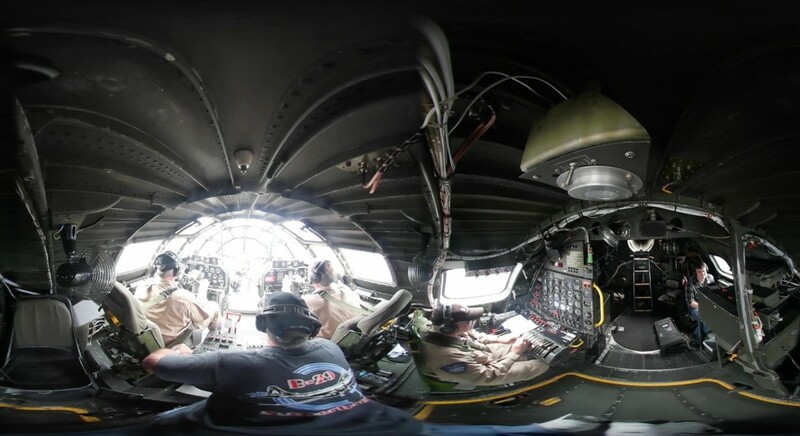 USA today, for its VRtually There series, had the chance to fly in the cockpit of one of only two surviving B-29 planes that are still flying. Nicknamed FIFi, she’s basically a flying museum, maintained and piloted by the Commemorative Air Force, whose goal is to bring war birds around the country. VRtually There usually relies on captured video and audio, but this piece is different. 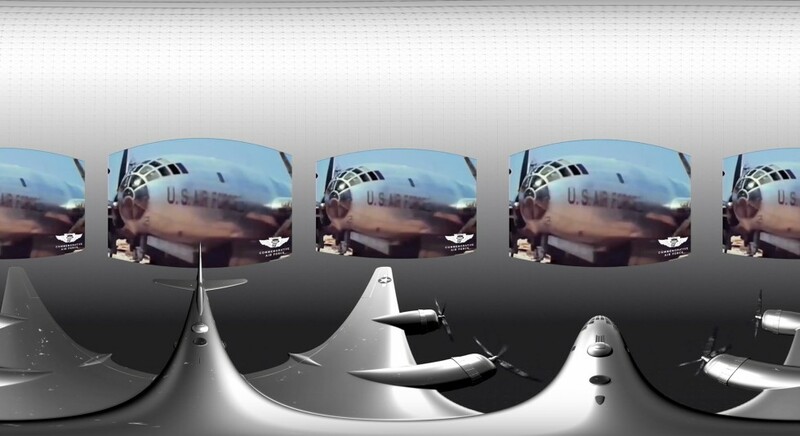 It combines a mix of captured video, supplied historical photos/videos, and an animated .obj model. 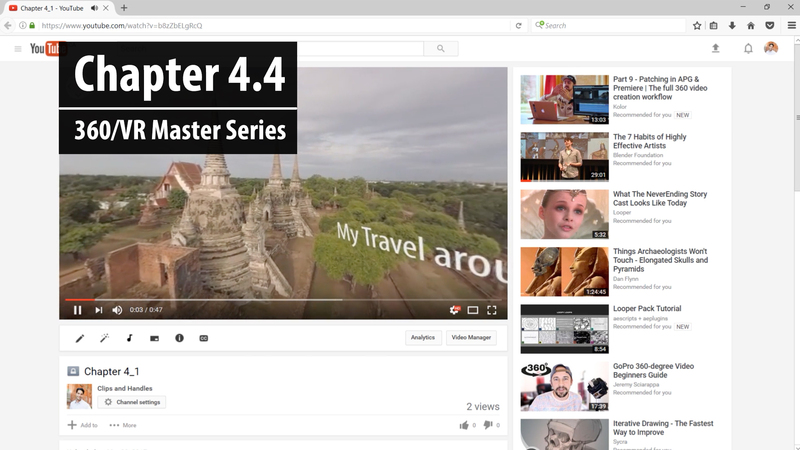 Skybox plugins with Adobe After Effects and Premiere Pro have been the go-to 360 post-production tools for the series. 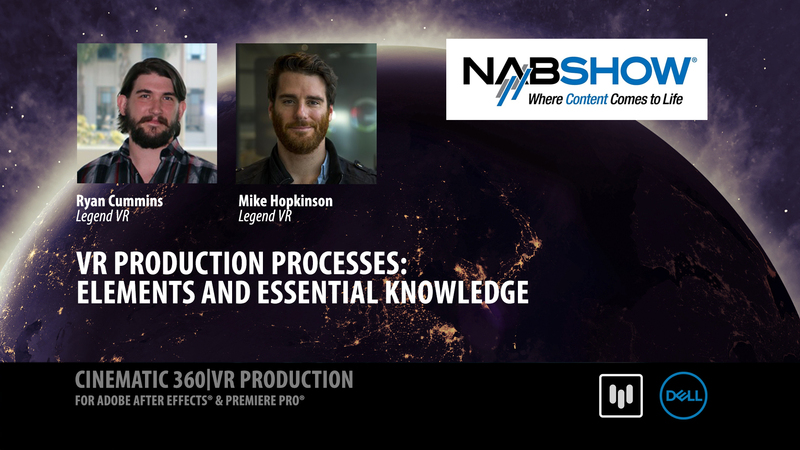 For this 360 experience, they used SkyBox with Element 3D and Plexus for a dynamic result. Adobe has acquired the SkyBox plugins, and is integrating them into Adobe Creative Cloud (find out more). 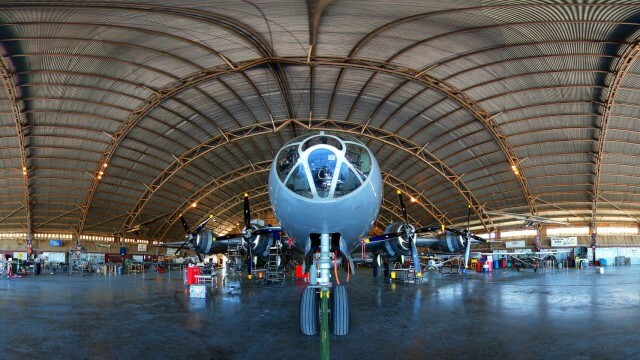 Mettle is proud to shine a spotlight on customer stories, and is pleased to showcase WWII B-29 Superfortress. How did this 360/VR project compare to other VRtually There stories? This story was a little different than the typical VRtually There story, which usually relies on captured video and audio. For this piece, I wanted to use a mix of captured video, supplied historical photos/videos, and an animated .obj model. The Commemorative Air Force had a lot of really cool old photos and high quality videos of the plane being restored that I wanted to use and I was also able to find a quality .obj model of the exact plane I was doing a story on, down to the paint job. Tell us about your production pipeline. 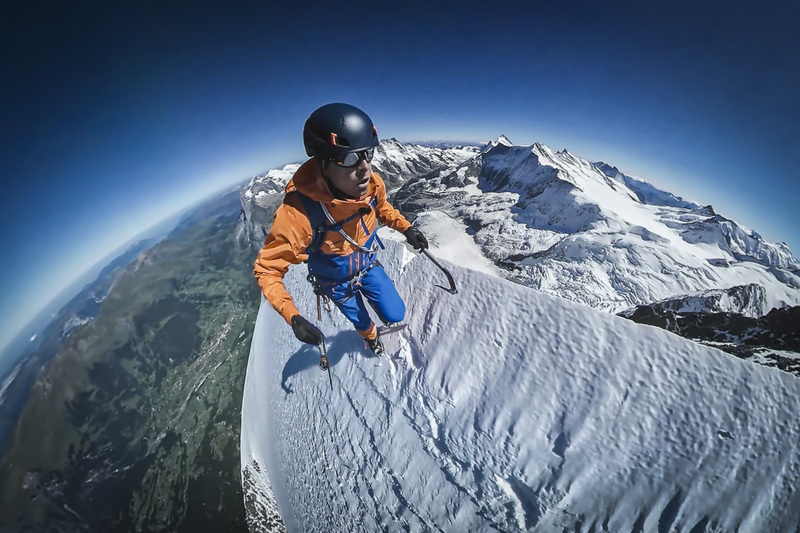 All of the captured 360 video was shot using GoPro cameras with Izugar two-camera rigs. Post production for all of the footage started with stitching in Auto Pano Video Pro. 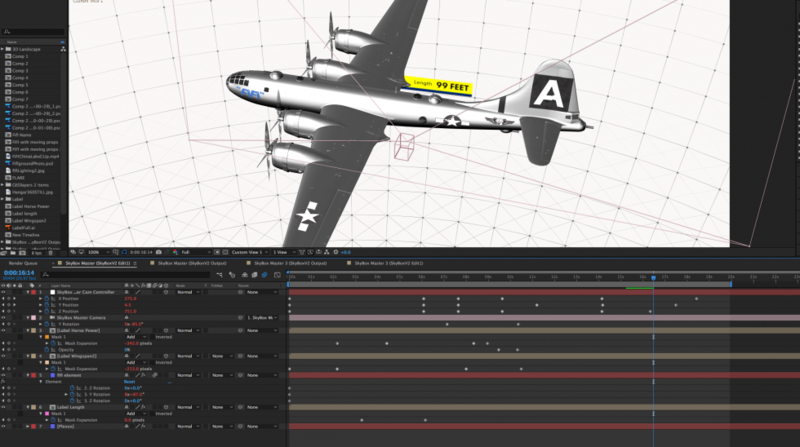 After that, all of the heavy lifting was done in Adobe After Effects using Skybox Studio V2 for all of the 360 related work. I used Element 3D V2 to set my 3D scene and animate the props on the plane. Skybox Camera Controller in Skybox Composer was used to animate the camera around the 3D model. Rowbyte’s Plexus was added at the end for a spherical background to help give some shape to the space around the model. Both plugins played nice with Skybox. Everything worked together great. Tell us about The B-29, what’s so special about this plane? FIFI is one of only two B-29s that are still flying. She’s basically a flying museum, maintained and piloted by the Commemorative Air Force whose goal is to bring war birds around the country so people can see them up close and to honor the sacrifices made by the pilots who flew them and the people who built them during WW2. 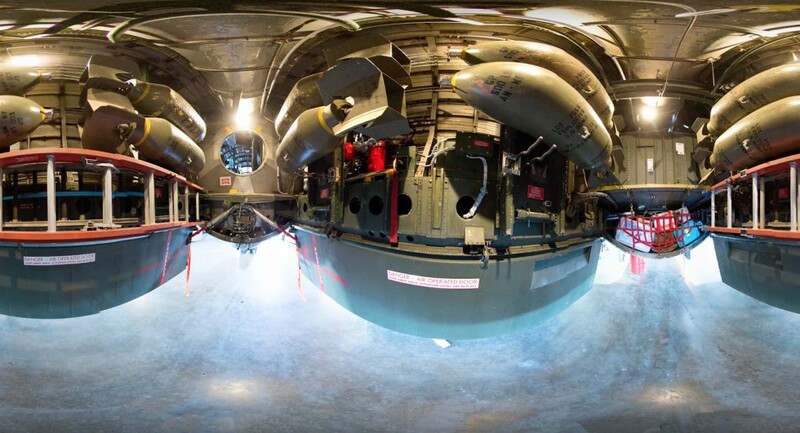 The B-29 is the same type of plane that dropped the atomic bombs over Japan, ultimately ending World War II. I had the opportunity to be Fifi’s only passenger between Phoenix, Arizona, and Ventura, California. The best view is from the bombardier’s seat in the nose. It’s a familiar view if you’ve ever seen Star Wars. George Lucas used the B-29 as the inspiration for the cockpit of the Millennium Falcon. Flying inside of it was a pretty remarkable experience! Many Thanks! we look forward to the next VRtually There story! The USA TODAY Network brings to life 360-degree content on a weekly basis with its VRtually There progam. The series provides new partnership opportunities for brands with the “cubemercial,” the first-ever VR ad unit created specifically for the medium. The weekly program, released every Thursday at 2 pm ET, features three content segments each. The show is filmed and produced by USA Today Network journalists and available in the USA Today app, the VR Stories app and VRtually There’s YouTube channel.